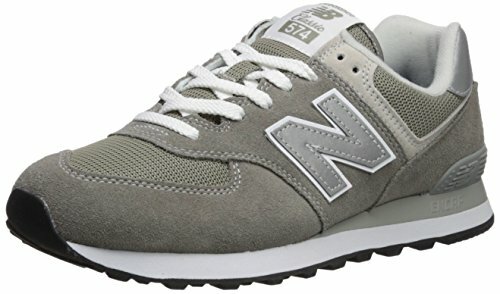 New Balance Men's Iconic 574 Sneaker, Grey, 12 D US by New Balance at Stuart Pynoo. MPN: ML574EGG-30-12 D US. Hurry! Limited time offer. Offer valid only while supplies last. Probably the most famous shoe in New Balance history. The 574 is a clean and classic die cut eva runner that utilizes encap cushioning technology. Probably the most famous shoe in New Balance history. The 574 is a clean and classic die cut eva runner that utilizes encap cushioning technology. Updated with snakeskin printed midsole and snakeskin deboss synthetic.